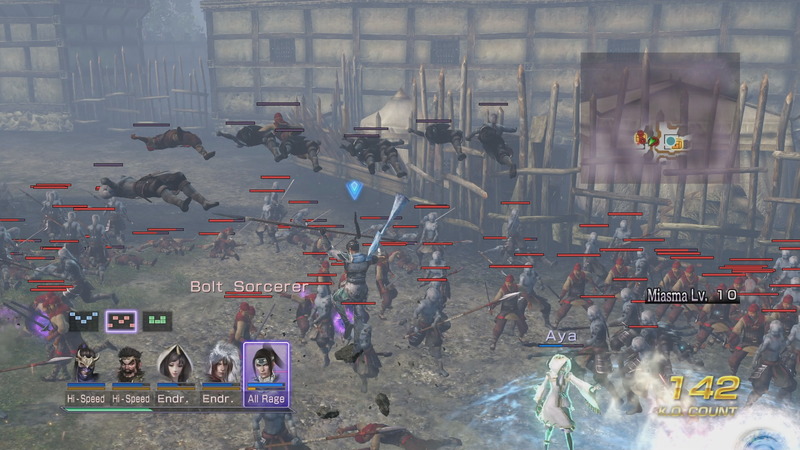 The Warriors Orochi series has been around for a while. 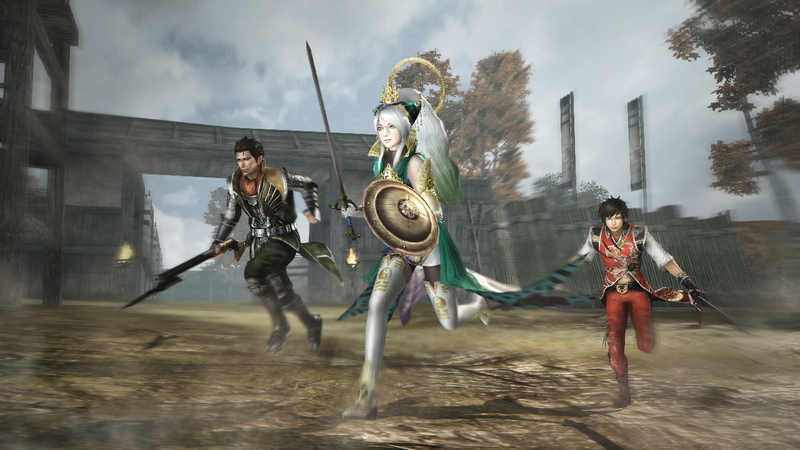 Even though I am a fan of they Dynasty Warriors series, I had never checked out any of the games in the series. 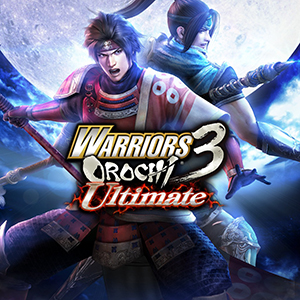 So, when the chance to review the latest entry — Warriors Orochi 3 Ultimate — came up, I jumped on it. Let’s see if I enjoy this series, as well. A group of heroes from many franchises come together to defeat the great evil Orochi and save the world from certain doom. There are heroes from the Dynasty Warriors series, Samurai Warriors series, Dead or Alive, Sterk from the Atelier series, Sophitia from Soul Calibur and many others. I was actually shocked at just how many characters there are here — 145 playable characters, to be exact. The story itself plays out in a series of scenarios. Each of these will have sub scenarios that can be unlocked though building the bonds between certain characters, but I will talk a bit more about this later on. Since time travel is a major theme of this game, when you complete some of the sub scenarios it will effectively change the past, allowing you to save allies that may have perished otherwise. Thus, this gives each character many unique story lines for you so discover, and some of these are quite interesting. Your characters’ bonds do more than just open up new scenarios. They will also affect conversations between them, which can happen during battle or at the camp, and some of these are priceless. Some other effects of higher bond levels include automatic support attacks and other attacks are strengthened. There are a couple of ways you can raise bonds between characters. You can spend some gems and raise them via the Tea House at the camp, or you can simply place them in battles together or complete missions given to you before battles. The Tea House will only allow you to raise your bonds so far. You will have to either complete missions or put them together in battle to raise them higher. Basic gameplay is pretty much the same as other Warriors titles. You press Square to attack while mixing in Triangle to do different combos. There are a few more combos here than in other titles to spice up the gameplay a bit. You can also control three different characters in combat. You can change on the fly by pressing R2 or L2. Something else different is the True Triple Attack. When the gauge is full on the bottom of screen you can perform this, and it will clear out a room, more or less. My only real complaint here is that some of the scenarios basically require you to have played them once to complete them. They put objectives in a certain place and give you little time to get there. This doesn’t happen too often, but often enough to make it annoying. Gauntlet Mode plays a bit differently than a traditional Warriors game. You will select five characters to start, and additional characters in this mode can be unlocked separately from Story Mode. The goal here is to clear stages made up of different fields, and, to do this, you will need to activate certain Dragon Portals. As you travel across the battlefield, different objectives and treasure will appear, but here is the catch; the enemies will constantly power up, as well, via the Miasma level. So, you will need to activate the correct Dragon Portal to make your escape to camp. It works a lot like in Story Mode — you can purchase weapons at the Blacksmith, accept quest and gain sworn allies via the Mystic and reform your party. As you complete tasks, you will gain keystones which you can use to unlock additional levels to play or to change the contents of a stage you have previously completed. The last thing I need to cover here is formations. You can use up to three of these in battle at time, and, depending on the formation, the abilities of your characters may change. Each formation has a skill using all five of your characters at one time. To be completely honest, neither the game nor the manual really explains this very well, so I did some good ol’ fashioned trial and error to find what worked the best. Next up, we have Duel Mode. Here, two groups of characters battle it out, but here is the catch; you use the cards that unlocked by gaining characters in Story Mode or by lasting longer in the Duel Mode’s survival. You can set up to four cards at a time, and some will provide support effects while others will attack or provide other special buffs. At the end of these duels, you will be rewarded with EXP you can distribute and crystals you can spend to purchase better weapons. This is really a faster way to level up your characters rather than doing Story Mode battles. There are four different difficulty levels from which to choose, so you can match it to your taste, although Survival Mode’s difficulty increases the more battles you complete. In the end, this is kind of fun, but, somehow, it feels a bit unbalanced at times. 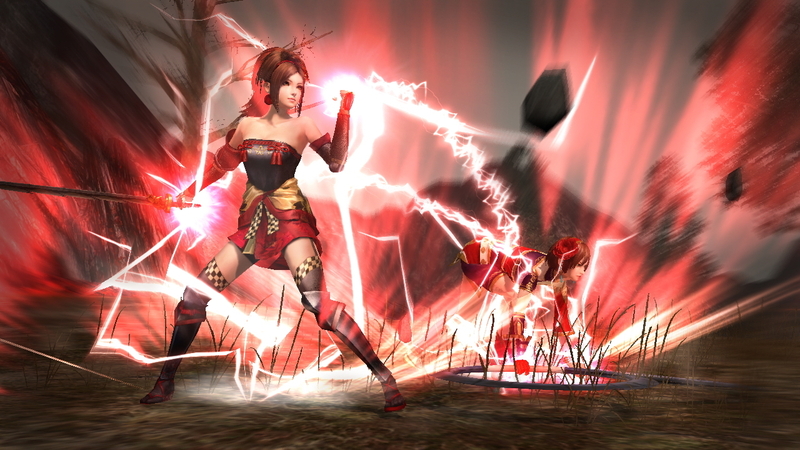 The last mode I would like to talk about is Musou Battlefields. In this mode, you can edit and upload battlefields found throughout the game. This mode is really neat since it basically it gives the game a ton more replay value, as if there isn’t enough content here already. Some content is available for you to use at the start, while the rest you will have unlock by completing story scenarios. Now that we have all the gameplay modes out of the way, let’s talk about bit about the graphics. I played the PlayStation 3 version for this review, and I’ve got to say it looks pretty damn good. All of the character models look great and the many different environments, from Dead or Alive rings to castles that look like they should be located just south of Hell — everything looks great. There are no frame rate issues of any kind, with tons of enemies on the screen or being played two player split screen, the frame rate is smooth and constant. The only issue I had in this department was that, sometimes, things pop in a bit late, causing you to run by enemy officers only to have go back and hunt them down. The sound here is absolutely fantastic. You will find remixed versions of tons of your favorite tunes from the various franchises the characters come from. The remixed tunes from Dead or Alive are really great. All of the voice acting is done in Japanese, and is done really well. The sound effects are the general clangs and bangs from battle, there is nothing notable about them, but they get the job done. All in all, my experience here was a good one. There are plenty of scenarios and unlockables to keep you busy for a long, long time. The graphics are great, the soundtrack is amazing. Other than the few minor issues I had here and there, this is a very solid title. Fans of this genre shouldn’t hesitate to pick this up. It is well worth the asking price. If you always wanted to jump into the genre, this is a pretty decent place to start. It even has a history in the Gallery to catch you up on the story. I played Story Mode around 35 hours, and I still do not have everything unlocked, and have only cracked the surface of Gauntlet Mode. So, when I say there is a ton of content, I mean it. For the asking price of $49.99 on PS3, I feel like you simply cannot go wrong with this one.